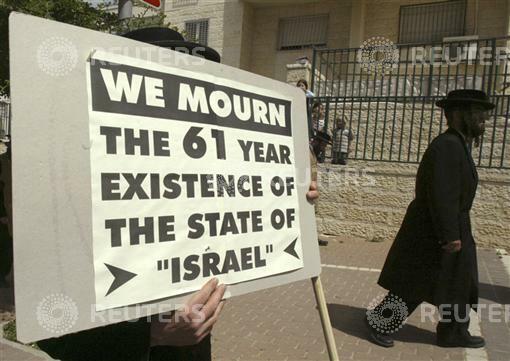 If a picture is worth a thousand words, the nine Reuters photographs marking Israel’s 61st Independence Day send a much more concise message: according to Jews and Arabs living within Israel’s borders, Israel should not exist. 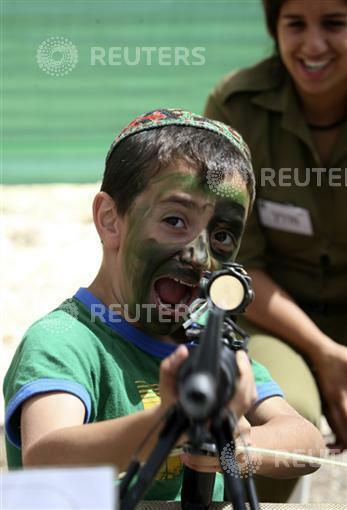 All those Israelis who think otherwise are war-mongers raising their children to be war-mongers. 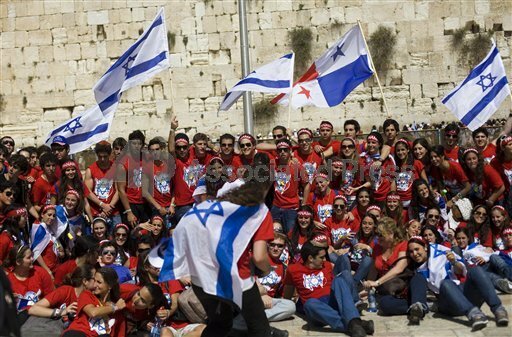 Israelis traditionally mark Independence Day by swarming to the national parks, beaches and street festivities. Barbeques are a favorite activity enjoyed on the nation’s birth day, as noted this weekend by Sayed Kashua, an Israeli Arab writer for Ha’aretz. 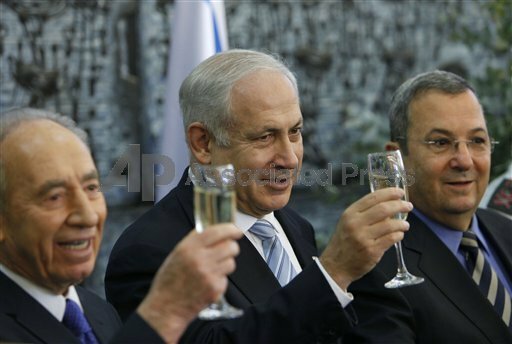 The celebrations began on Tuesday on Mount Herzl in Jerusalem, as the flags lowered to half-mast for Memorial Day were raised again, and the ceremonial torches were lit. This year, festivities centered around the theme of Tel Aviv’s centennial. Among Tuesday’s torch-bearers were Tel Aviv’s iconic former mayor Shlomo (“Chich”) Lahat, and the son of Israeli painter, sculptor and author Nahum Gutman, in whose art the city was frequently featured. In Tel Aviv itself, police had to cordon off the popular Florentin neighborhood, as the number of street-party revelers exceeded the anticipated 5,000. 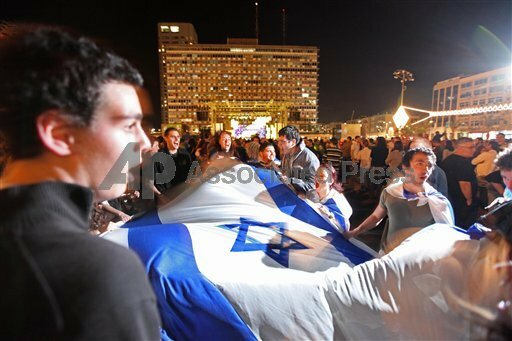 In Givatayim, both religious and secular Jews marked the occasion at the city’s Wohelin square. 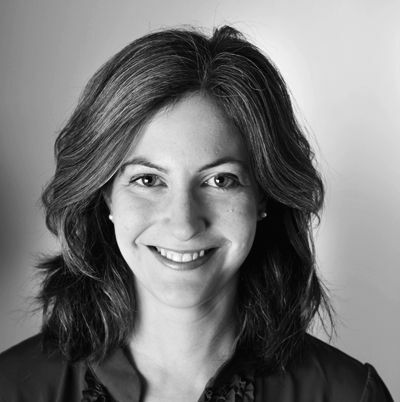 “We are celebrating with [kidnapped Israeli soldier] Gilad Shalit in our hearts,” said one local resident, Maya Hirsch, 40. “Independence is not something you take for granted.” . . . . But Reuters photographers, dispatched across the country, did not capture any of these highlights — no images of Tel Aviv revelers marking 100 years of their city as well as 61 years since the founding of the state of Israel, no sign of the packed beaches, no pictures of the family outings to parks, and no photos of official ceremonies. 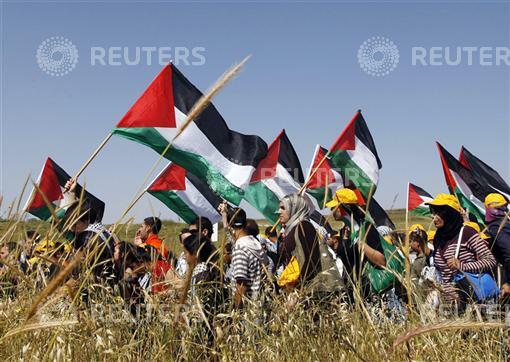 And, as far as Israeli citizens celebrating their independence day, there’s nothing more to show, Reuters apparently believes. The remaining two images don’t include people at all — they are fireworks over Jerusalem, with the Muslim Dome of the Rock in the foreground. 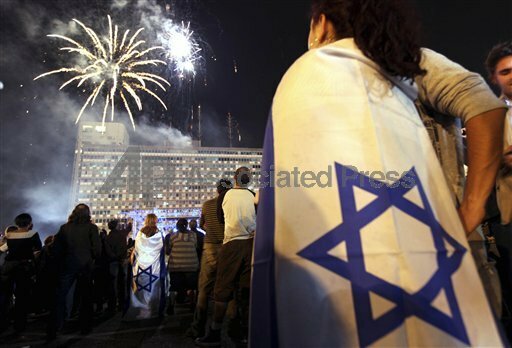 explode during celebrations for Israel’s Independence Day April 28, 2009. 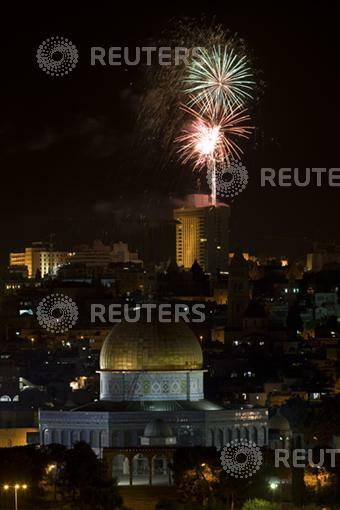 The second photograph of the Dome of the Rock and fireworks is nearly identical to the first. 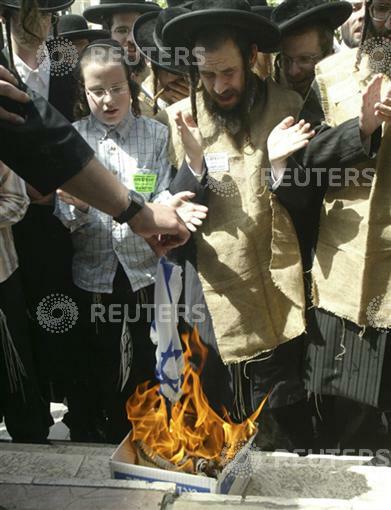 Editor’s Note (5/7/02): An article yesterday about a parade in Manhattan marking Israel’s 54th anniversary reported that 100,000 people had registered to march and hundreds of thousands more lined Fifth Avenue in support. The article also said that anti-Israel protesters numbered in the hundreds. 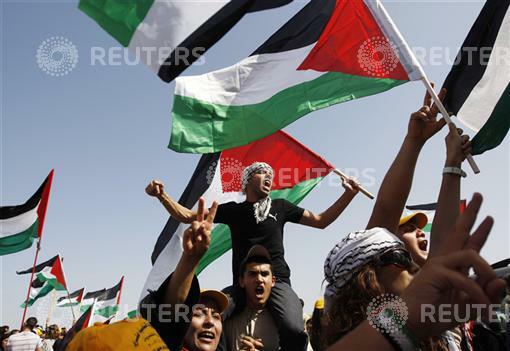 A front-page photograph, however, showed the parade in the background, with anti-Israel protesters prominent in the foreground, holding a placard that read, “End Israeli Occupation of Palestine.” Inside the newspaper, a photo of a pro-Israel marcher was juxtaposed with a picture of protesters, one waving a sign that likened Zionism to Nazism. Although the editors’ intent in each case was to note the presence of opposing sides, the effect was disproportionate. In fairness the total picture presentation should have better reflected The Times’s reporting on the scope of the event, including the disparity in the turnouts. 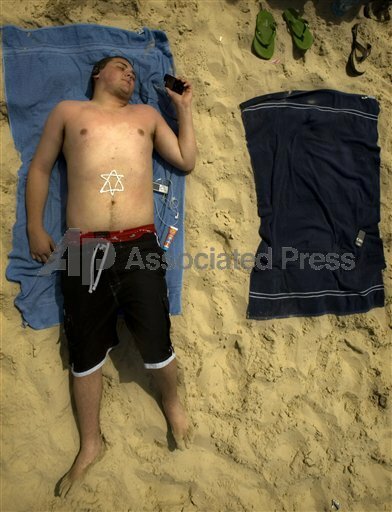 In conclusion, AP’s varied images of Israelis marking Independence Day clearly demonstrate that there are plenty of Zionists still in Israel, including in Tel Aviv, and they have no trouble celebrating their sovereignty, even without donning war paint. 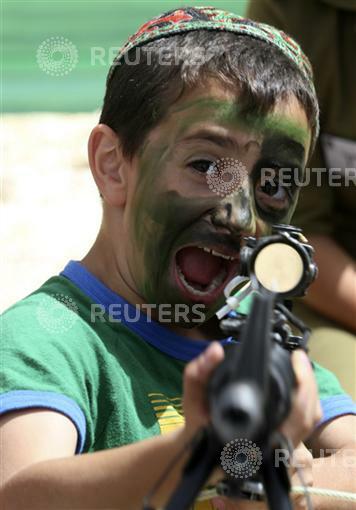 For earlier CAMERA articles on Reuters photo bias, click here.